With all that's been going on, you probably missed the recent announcement that the Army has released the standards for its Occupational Physical Assessment Test, or OPAT. The test will be administered to soldiers who wish to move into more physically demanding occupations, such as combat arms. The three categories for scores, based on required fitness levels, are moderate (gold), significant (gray) and heavy (black). Although these raw numbers probably do not mean much to the average person, if we take a closer look, we can see what standards have actually been set. This is a measure of lower-body power. So, how powerful does a combat soldier need to be with a 160-centimeter, or 63-inch, broad jump? According to a studypublished in Research Quarterly for Exercise and Sport in 2015, the soldier would be in about the 50th percentile … of 12-year-old Hungarian boys. Not athletes or future Olympic hopefuls – nope, just your average Hungarian youth. No big deal. A soldier demonstrates the seated power throw. The seated power throw, much like the name suggests, measures upper body power. How powerful do you have to be to achieve the 450-centimeter or 177-inch, throw? You would have to be elite. Specifically, you would have to be elite among 9- to 14-year-olds. A 2014 master’s thesisby a student at East Carolina University puts the average distance for this group at 340 centimeters, or 134 inches. However, when you factor in the standard deviation of 39.5 inches, there were some 9-to-14-year-old boys and/or girls who hit 441.96 centimeters – pretty close to the 450 "heavy" standard mark. In fairness, they used a 4-pound medicine ball, whereas soldiers will use a 4.4-pound ball. Regardless, rest easy: If you meet this standard, you will be the most powerful kid on the playground, at least until you start high school. This event measures lower body strength, and it should be noted that it uses a hex or trap bar, not the typical straight bar. I am pleased to report that according to a recent study, it took 13-to-15-year-old boys eight weeks of training with a trap bar twice a week to exceed the 160-pound "heavy" OPAT minimum … for six reps. Yes, you read that correct: A 2016 issue of the Journal of Physical Education Research included a studyin which the participants used the minimum OPAT heavy requirement (actually, 2-plus-pounds more than the requirement) not as a one-rep max, but rather a six-rep max. Last but not least comes an event commonly known as the "beep test." It measures aerobic fitness and has been around quite some time. What does the required 43 shuttles mean in terms of aerobic capacity? Assuming the OPAT starts at the first level and uses the most common beep-test setup, 43 shuttles puts the test-taker two shuttles into the sixth level. Based on this assessment, the OPAT top-tier minimum places the test-taker in the "poor" category for males ages 16 to 35. The only way this score is considered "very good" is if you are over the age of 65. Remember, these norms are based on average civilians, not athletes. The current standard for combat arms, according to the OPAT, requires you to have the lower body power of mediocre 12-year-old, the upper body power of an elite 14-year-old, the strength of an average 13-to-15-year-old who works out, and the endurance level of a fit senior citizen. I get that some will argue that these are the minimum physical performance requirements when correlated with basic soldier tasks in the combat MOS world. However, we are looking at the minimum standard the wrong way. Right now, it’s being used as an access point, measuring when a soldier is at his or her best. Instead, it should be the minimum level of performance a soldier can maintain indefinitely when at his or her worst. When these soldier tasks happen in the real world, is the individual well-rested, perfectly fueled and adequately hydrated? Probably not, so we need to start at a point where even on the worst day their power, strength, and endurance is at a level that leaves no question they can perform above and beyond the minimum requirement as long as needed. Otherwise, the only test standard that should be raised is the number of shuttles: If an individual who barely meets the current strength and power standards happens to meet a fit prepubescent teen, they at least better be able to run. 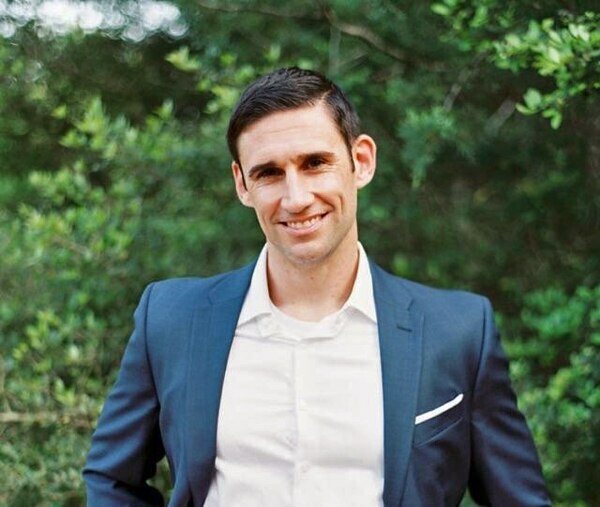 Maj. Nick Barringer is an assistant professor in the U.S. Military-Baylor University Graduate Program in Nutrition. He has a doctorate in kinesiology from Texas A&M. He previously served as the regimental nutritionist and as member of the Ranger Athlete Warrior program with the 75th Ranger Regiment. His opinions are his own and do not reflect the Defense Department.